Nick and I went to Bali for Chinese New Year. We have a villa there in Cemagi. The flight takes about four hours from Hong Kong. I usually watch a movie, but I’ve travelled so much recently that I have basically seen every movie that they have on their flights. So on my flight to Bali, I opened the inflight sales magazine and took a look to see if there was anything interesting. Hmm … looked pretty convincing, so I bought it. I started using it in Bali and have been using it for about two weeks now and I have to say that I LOVE it!! As you know, I also love the snail cream, but like I said, it is good to use one jar and then take a break, so I’ve been using this instead of the snail cream. It has brighten my face and feels firmer. 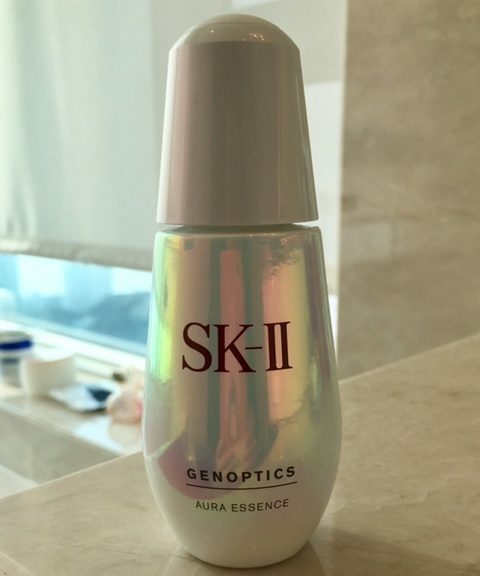 I guess the Japanese companies know best what works for Asian women who want clean, pale, white skin. When we were in Bali, we were invited to dinner at my friend’s villa. It was a gorgeous, enormous villa (makes our look puny)! During dinner, my girlfriend said that she would like to take a short break from being a mom, daughter and wife and just do whatever she wanted to. I asked her what she would like to do and she wasn’t sure. But I totally get what she means because wouldn’t it be nice to do something that is completely different from what people expect of you? Or just take that time to get to know yourself better? So, I’ve been thinking about that question for myself. If I could take a couple of months, what would I do? Well, I decided that I don’t want to hang out in the beach resort and write a book because as you know, I can’t stand the sun. I don’t want to help with a NGO because I’ve done that and I’m sure I would get frustrated, which is the opposite of what this time off is supposed to do. I don’t want to start a business because I’ve already done that and again, I wouldn’t do something that was stressful. I don’t want to go to golf camp, yoga camp, spa, resort, etc. because I’ve done that already. I would want to do something that would make me a better person, but I don’t want to be bored and I don’t want to be extravagant. Finally, after much thought, I’ve decided that I would go to a silent retreat. I have a few friends who did this and they all said that it was one of the best things that they have ever done. I know that it will be hard not to talk (especially ME!) but you can mediate and do yoga and do other things. Wouldn’t it be nice to just not check emails and just be still? I’ve found this website below … let’s see if I actually do it!